SHM053: Shyft Versus K.H.D. 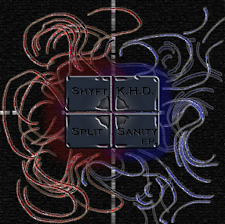 – Split Sanity EP – Officially released in 2010, this is a nu style gabber split extended play by Shyft and K.H.D.. It includes two tracks by Shyft, two by K.H.D., and one collaboration by both of them.